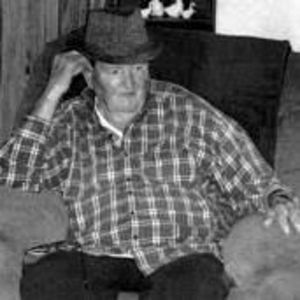 Francis Bernard Booth, 80, of Liberty passed away on Monday, February 13, 2017 at his home. A graveside funeral service will be held on Friday, February 17 at 2:00 p.m. at Fairview Cemetery. The family will receive friends on Friday from 12:00 until 1:45 p.m. at the funeral home. Bernard was the son of the late Roy and Anna Lawson Booth and was also preceded in death by one brother, Royce Booth. Surviving is his wife, Frances Scott Booth; sons, Carey Booth (Hollie) of Hickory and Marty Booth (Sharon) of Siler City; sisters, Patsy Layton, Sammy Johnson, Paulette Forbis (Winford) and Sheila Fogleman (James); brother, Keith Booth (Faye); nine grandchildren and 20 great-grandchildren. In lieu of flowers, memorial contributions may be made to American Heart Association, 7029 Albert Pick Road, Suite 200, Greensboro, NC 27409. Loflin Funeral Home, Liberty is honored to serve the Booth family.